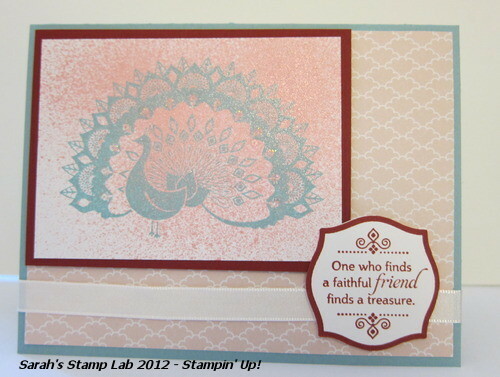 Sarah's Stamp Lab: More October Birthdays! I'm back with another October birthday card! I have been dying to use this peacock stamp but just haven't had the situation to use it. 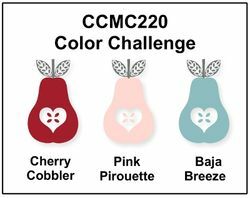 I also saw this color combo on the Create with Connie and Mary blog and thought it was so unique! It's definitely not a combo that I would typically use. What do you think of this color combo?? What a beautiful image, and just perfect for this colour combination (which I love). Wonderful card!